Angled head and long reach handle specifically made for accurate cutting in and improved performance. Constructed from Technofil filaments giving a superior pick up and lay off with all paint types. Sizes: 1 1/2", 2" and 2 1/2". Pioneer Swift Angled Paintbrush Set (3 Piece) is rated 5.0 out of 5 by 5. Rated 5 out of 5 by bob ilkw from great features bought these a week ago ideal for cutting in. Rated 5 out of 5 by grumble from Great set of brushes I bought them for cutting in and they made the job so much easier. 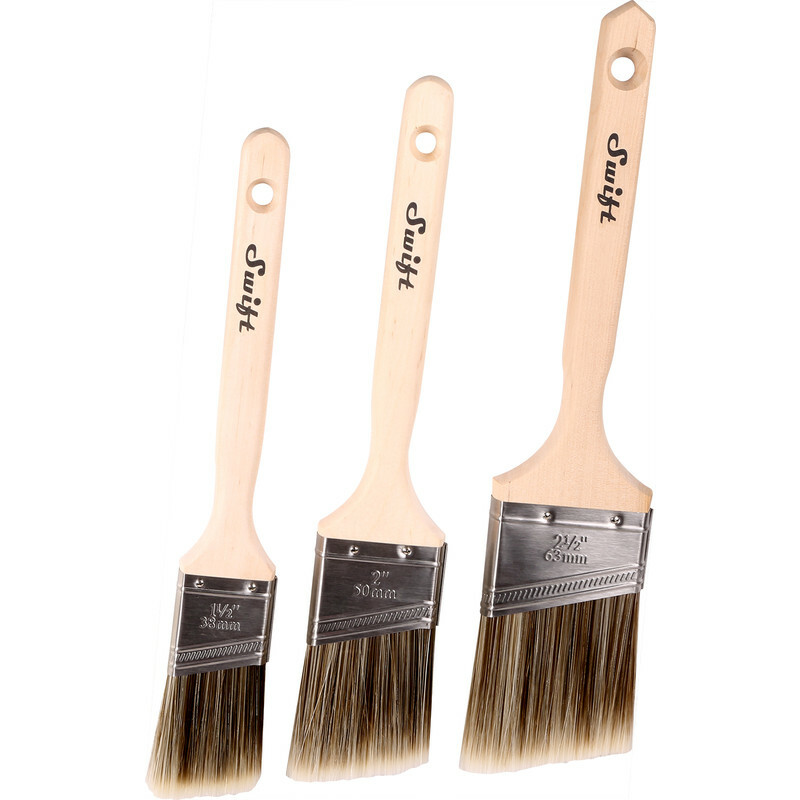 Rated 5 out of 5 by Markymmark from Quality Paint Brushes The bristles on the brushes remain in place and deposit the paint exactly where you want it. The best brushes I have ever used !! !